Bruce Springsteen will be a guest on a forthcoming album from New Jersey native, Matt O'Ree. The record is set to be released on November 23 and there will be a CD release show at The Stone Pony in Asbury Park that same night. I've gotten an early peak into the record and can say that it is a fantastic one on first listen. Springsteen fans will for sure appreciate "Black Boots," which showcases The Boss alongside the Matt O'Ree Band. Be sure to check it out next week, full press release for the album is below. Therewolf Records is proud to present the eagerly anticipated new album by The Matt O’Ree Band, ‘Brotherhood’, to be marked with a Record Release Concert and Celebration at The Stone Pony on Wednesday, November 23. A ‘Brotherhood’ track already garnering major attention; “Black Boots.” This track co-penned by O’Ree and Jon Leidersdorff of the Lakehouse Recording Studio in Asbury Park features Bruce Springsteen on co-Lead Vocals and Guitar. 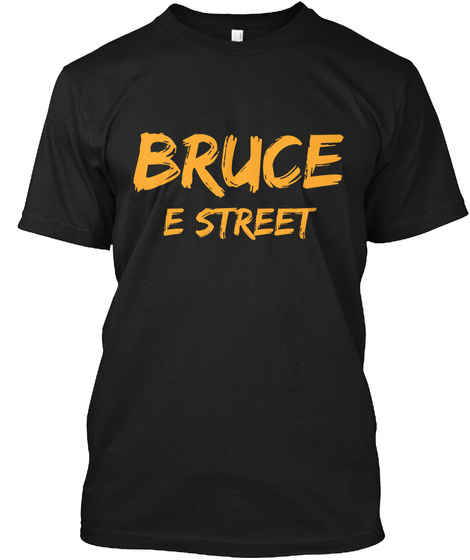 “Many have asked how the Bruce appearance came to be. Well I taught his son guitar for many years. I grew very close to him, he was like my little brother, he really became an amazing friend. One day he asked if I had anything new of mine he could listen to. At the time I was working on “Black Boots” with Jon (Bon Jovi), one of the first finished versions. After playing it for him, he played it for his Dad, without me even knowing. The next week at the lesson, I saw Bruce and he commented that he liked what I was up to. That was a defining moment for me and with every ounce of courage I had, I asked Bruce if he would be interested in playing on it. With a pause he thought for a second, and then said; ‘sure. Let me see what I can add to it.’ All I remember were overwhelming feelings of joy running through me. One incredible moment in an otherwise average day for a kid from Holmdel,” recalls O’Ree on Springsteen’s appearance on the record. O’Ree spent the second half of 2015 touring stadiums with Bon Jovi, a natural fit given O’Ree’s now solid history with founding Bon Jovi member, keyboardist David Bryan. Bryan appears at gigs regularly to jam with the O’Ree band. “One Friday night at Jamian’s in Red Bank back in 2012 a former guitar student of mine - Brad Batcha - walked in, followed by David and Lexi Bryan and company. I hadn’t seen Brad in quite some time. Anxious to talk to him, he introduced me to David. I had previously met David at a wedding and remembered how humble he was. So, without hesitating, I asked David to come up and play. From the first note we played together, I just knew that we were gonna be great friends. Music has an unbelievable power to bring strangers together forever,” says O’Ree on his first gig with Bryan. Together, they co-wrote the single "My Everything is You". The song, produced by Bryan, will be featured on the new album. But with O’Ree it’s not all about the company he keeps. His first solo album, ‘88 Miles’, was well received by national media and secured him opening slots for such notables as Blue Oyster Cult, Blues Traveler and Marshall Tucker. Since, he’s gone on to release several records. That success led to another tribute the following year when he won Guitarmageddon’s “King of Blues” guitar contest, hosted by B.B. King and John Mayer. O’Ree proved best from a pool of 4,000 guitarists to win for the title. And with that honor came another notable occurrence. O’Ree, who owns over 30 guitars, received an endorsement of world class Gibson guitars, makers of the Les Paul model, Matt’s guitar of choice. The Matt O’Ree Band features seasoned Shore staples Scott Bennert on bass and John Hummel on drums, complimented by Eryn Shewell and Layonne Holmes on vocals. It’s only rock ‘n’ roll - with attitude! Bruce Buchanan is the producer of the rest of the album who masterfully revives that early ‘70’s rock feel - recording in analog - using techniques similar to those made famous by artists such as Led Zeppelin and Black Sabbath. Encouraging an O’Ree blues-based, old-soul jam session upwards of 10 minutes and mastering it down to a charged-up, ignited album-friendly 4-5 minute track. In addition to Matt O’Ree Band members; ‘Brotherhood’ also features guest appearances by Stax guitar legend Steve Cropper, Matt Wade and Dave Archer for a sum product that with O'Ree's raspy vocals deliver soul, power and feeling. The ‘Brotherhood’ Record Release Party and Concert will take place November 23rd at 7pm at The Stone Pony on Ocean Avenue in Asbury Park and will feature special guest David Bryan. “We want our Monmouth County family to be the first to enjoy what we feel is the best album we’ve ever recorded,” says O’Ree. Fans will enjoy ‘Brotherhood’ and can purchase the album at that show. Tickets are $14 in advance and $16 at the door, and are available through Ticketmaster. Visit: stoneponyonline.com or www.mattoree.com for more information.